Sometimes even the best and bravest get overwhelmed under a mountain of midterms and assignments and projects. The EcoCar team has been a little lax on letting the outside world know what we’ve been up to, so we’re going to make up for it now that we can see 20 feet in front of us without having to worry about a harrowing assignment. We want to let you know about the progress that’s been made, and about the status of the team. Spoiler Alert: everything is awesome. Last weekend, as the new school year got into full swing, the Eco Car team returned from their various conquests of the warmer months to catch up and play some Mario Kart. Fearless team leader Balazs was kind enough to provide some love (in the form of breakfast — Kool-Aid Jammers!) for the members who attended the meeting with the hopes that his bribery could persuade the team to talk about the car instead of fixating on video games and Youtube videos. This was in vain, though we did manage to endow the new car with a name: Alice. Those of you who do things like notice what time a post is published will see that I am still up though it is the wee hours of the morning. What might be keeping me up? Certainly not our car, for it was working at end of today, and we decided there was no use fixing things that ain’t broke. The reason I lie awake is my undying love of Canada, but more specifically of the Canadian teams are that the Shell Eco-Marathon. Let me give you a quick run-down on the hierarchy and politics of Canada – don’t worry, Stephen Harper won’t be mentioned, although I will cover all of the juiciest insider gossip. After a long day trying to get our little Steve through tech inspection (notoriously difficult for hydrogen teams), I had my own little adventure in the city of Houston. 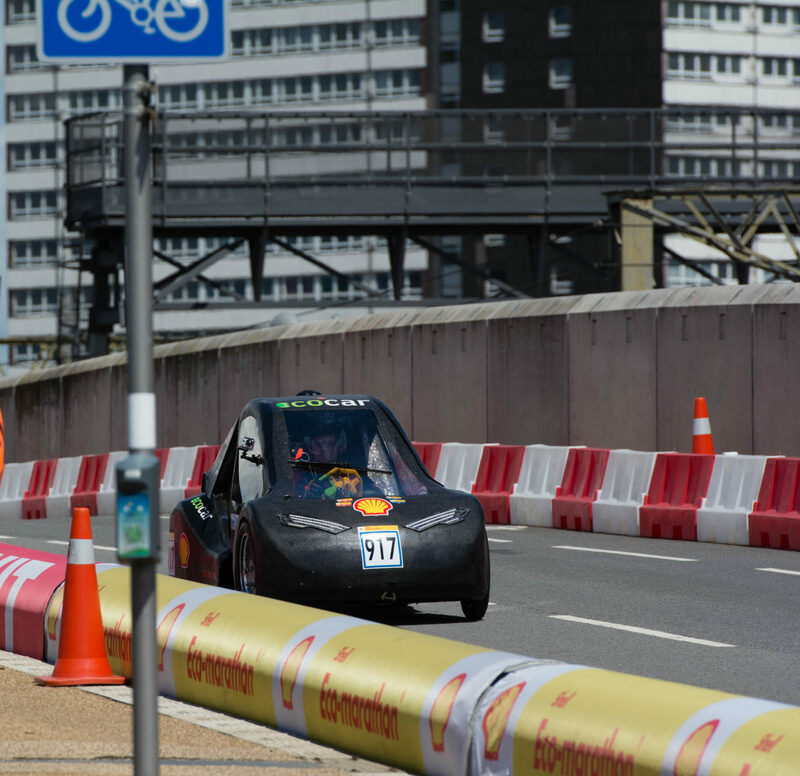 To begin with, tech inspection went quite well, and the Shell Eco-Marathon makes for a nice view, as always. Early this morning we got up, enjoyed a breakfast taco or two, and got to the morning orientation and safety sessions. After registering and going through a safety briefing we were finally ready to get to work on the car – but first: pictures. All of the teams were congregated on the front lawn of the convention center for a big group photo. Even though it was only 8:30 am the sun was sweltering.